most of the borrowers assets are not liquid (e.g., property, slaves). As a result, lenders often make holistic judgments regarding who they will lend money, and borrowers cannot afford to have their credit standing attacked. Under such circumstances, defending your honor is less about displays of bravery, and more of a desire to avoid absolute destitution. 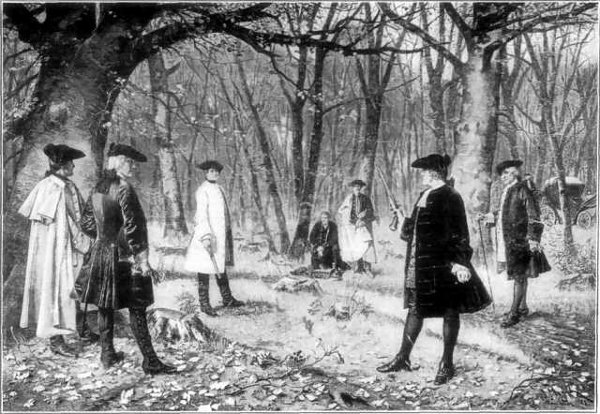 The Deadliest of Games: The Institution of Dueling for the remainder of the discussion of the rational basis of dueling.